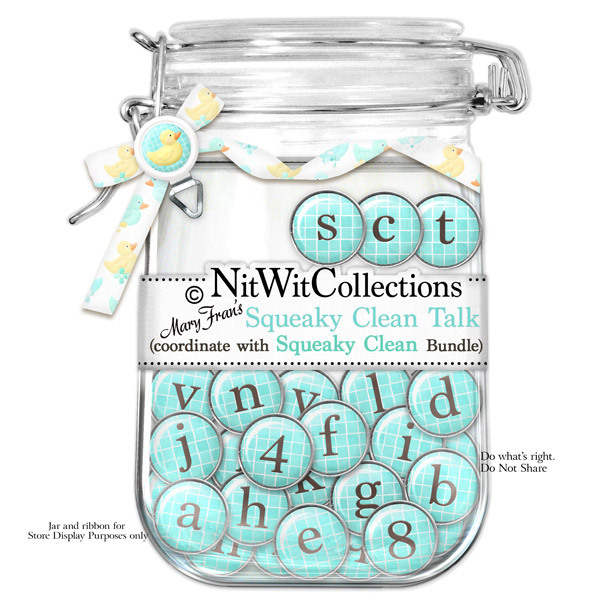 "Squeaky Clean" Talk is a water-friendly little button alpha to help you spell out your best water time fun! Maybe it will just be under water gurgle?? 1 AlphaWit set of lowercase letters, &, exclamation mark, question mark, quotation mark, a blank tile and set of numbers (0 to 9).